BBC Global News has struck a deal to serve sponsored video clips inside paid tweets via Twitter's growing Amplify program, according to the companies. 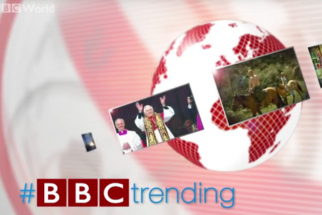 BBC.com has begun producing a series of short-form videos called "#BBCTrending" to appear in Twitter streams later this fall. The videos, hosted by Anne-Marie Tomchak, give viewers the inside story on trending news on social media that day -- after a brief pre-roll from a sponsor. "#BBCTrending" will be distributed to @BBCWorld's 4.8 million Twitter followers and pushed further as Twitter sells from its suite of ad products, such as promoted tweets, to help with distribution.